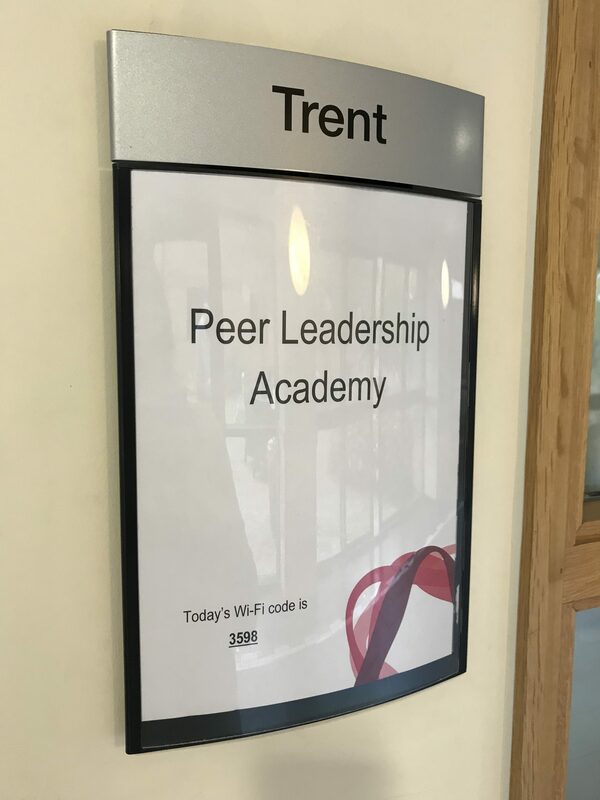 Several months ago, Fiona tagged me in a Tweet about the NHS Peer Leadership Academy. 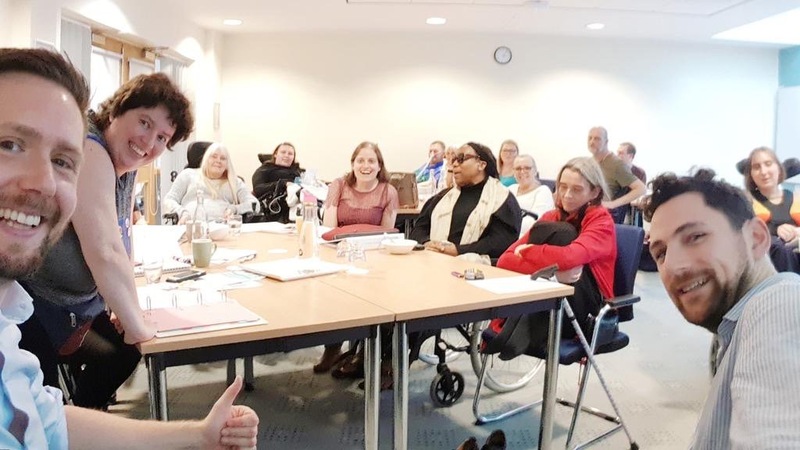 The academy is a personal development programme jointly delivered by the NHS and an organisation called PeopleHub, and is geared towards people with an interest in life with a long-term health condition or disability, whether they’re patients, carers or family members. It focusses on how personalised care, in particular personal health budgets (PHBs), make a huge difference to quality of life. Once I arrived and spoke to a few of the other participants on Tuesday morning I quickly realised that I should never have worried about “not fitting”! It was amazing that we all came from very different backgrounds, because it meant we were able to look at things from a wide range of perspectives. I started learning stuff before we’d even finished breakfast! Once we’d got to know each other, we talked about what we hoped to get out of the course, along with what we hoped it WOULDN’T consist of. This led into talking about how personalised care applied to each of us as patients or caregivers. This part definitely made me think! Our discussion also brought to light that while some of us had experienced medical staff taking our views and opinions on board, and using them to help develop our treatment plan, some of us had not been so lucky. These experiences then went on to have either a positive or negative impact on our wellbeing. I shared how the psychological support I received from my renal unit helped me develop practical strategies to cope with my severe anxiety. Patient involvement in decision making is vital. To illustrate what can be possible when it’s done properly, we watched a powerful video featuring Jo (one of the course facilitators) and her son Mitchell. Mitchell’s Story from Care Networks on Vimeo. The message we all took away from watching this video is that personalised health care is about collaboration. In order to achieve the best outcomes, patients/carers and medical professionals need to work together. They also need to understand that “the best outcomes” aren’t going to look the same for every patient. No two people are the same, so nor should any two treatment plans be. During our discussion of this, I talked about the positive experience I had with pre-dialysis care. 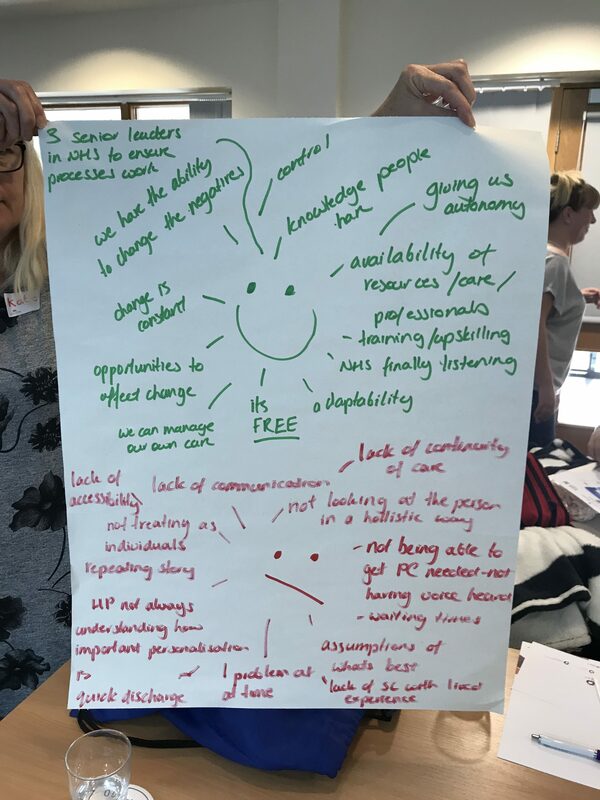 I explained how I’d had the opportunity for in-depth conversations with my consultant, kidney choices nurses and renal psychologist and that these allowed us to work together to reach a decision on which dialysis modality best suited me. It took into account my needs, capabilities, and the “real life” I wanted to continue to lead. Although it wasn’t always easy or simple, this experience ultimately boosted my confidence. 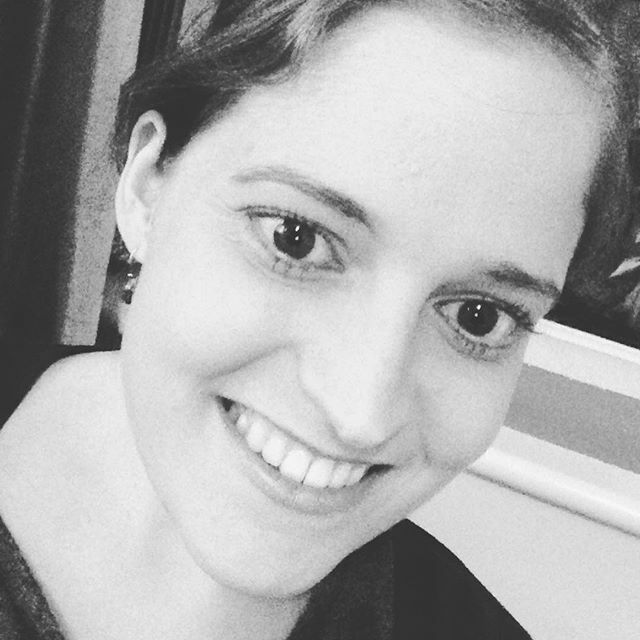 It convinced me that I was capable of making decisions about my medical treatment. I couldn’t stop having kidney disease, but I could continue to be myself in spite of it. 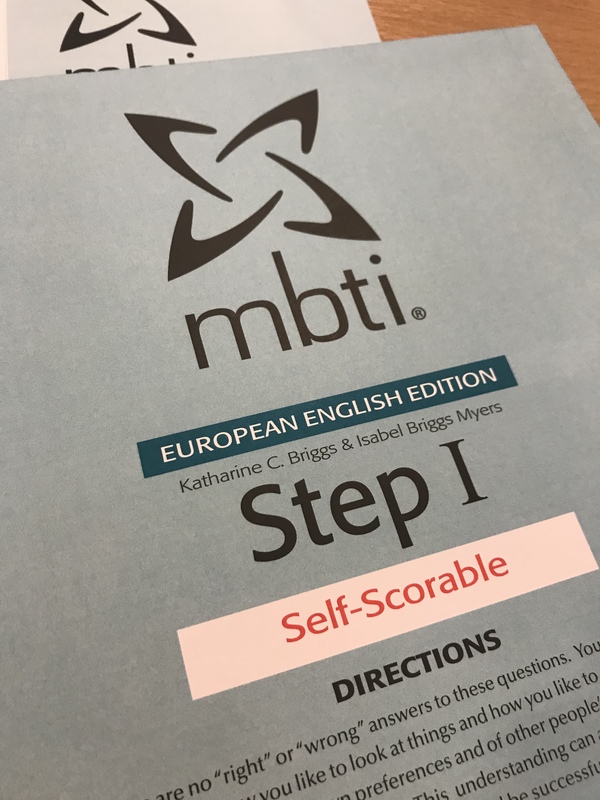 The last section of Day 1 was the Myers-Briggs Personality Type Assessment. I had heard of this before, and done “tests” related to it on Facebook, but never a proper in-depth one. While I’m slightly skeptical of anything that tells you that you’re one of 16 different “personality types”, but I was still curious to see how closely I identified with my eventual result! I’m fairly sure I’m an Introvert, but I’m not necessarily always shy, withdrawn or antisocial! I love people, and enjoy chatting to them and getting to find out what makes them who they are; but I also need time afterwards to put these thoughts into some semblance of order, which will then help me work out out how to relate to these people I’ve just met! 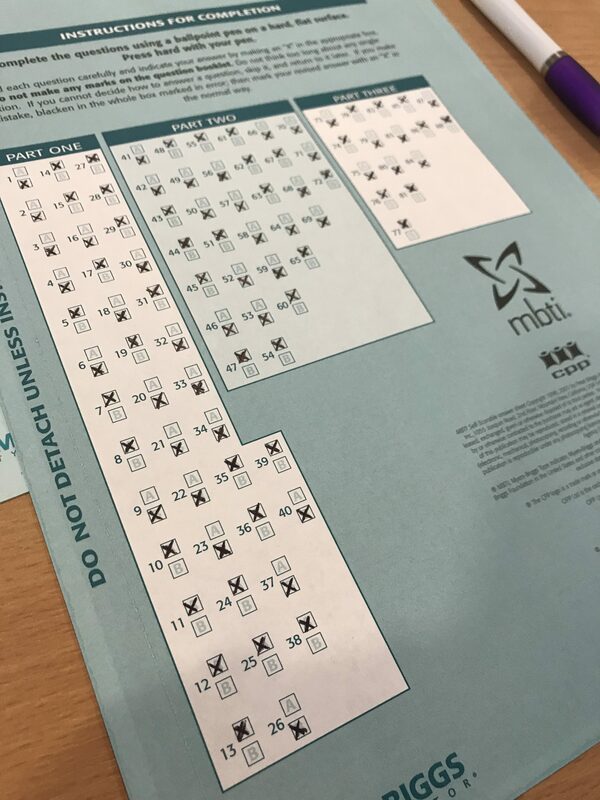 We got our results on Day Two, and spent most of the day doing various activities to interpret these, and work out which type suited us most closely. I spent quite awhile stuck between two, INFJ and ISFJ. These two types are very similar, and (unsurprisingly!) both Introverted. 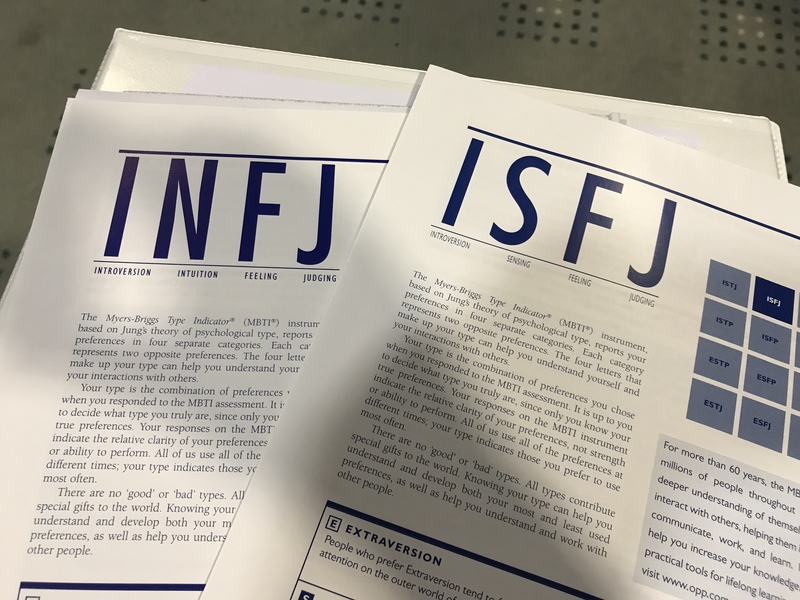 Eventually I decided to go with ISFJ, because I felt like some aspects of it fitted me better, although if I could have picked both I absolutely would have! 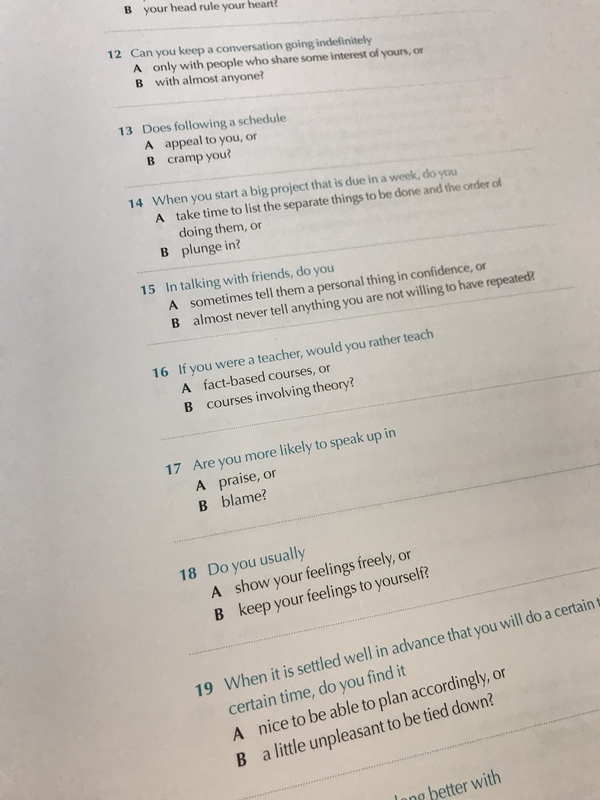 Interestingly, some members of our group were really shocked by how closely they identified with one specific type – which wasn’t always the one they expected to be?! 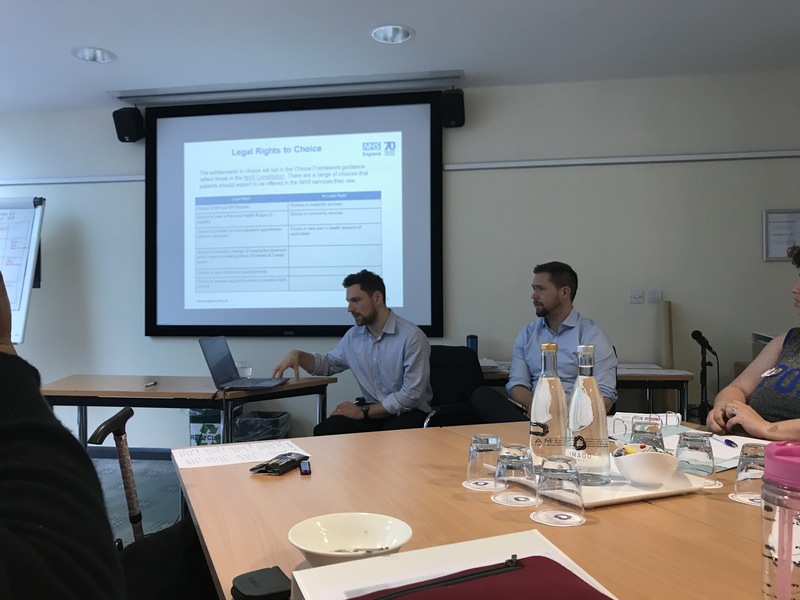 Before the end of the day, Phil Brough and Joe Fraser (aka “the NHS’s answer to Ant and Dec”) spoke to us about universally available support, social prescribing and health literacy. Overall I really enjoyed the first two days of this course. Not only has the content been interesting, I’ve also met some really awesome, inspiring people! 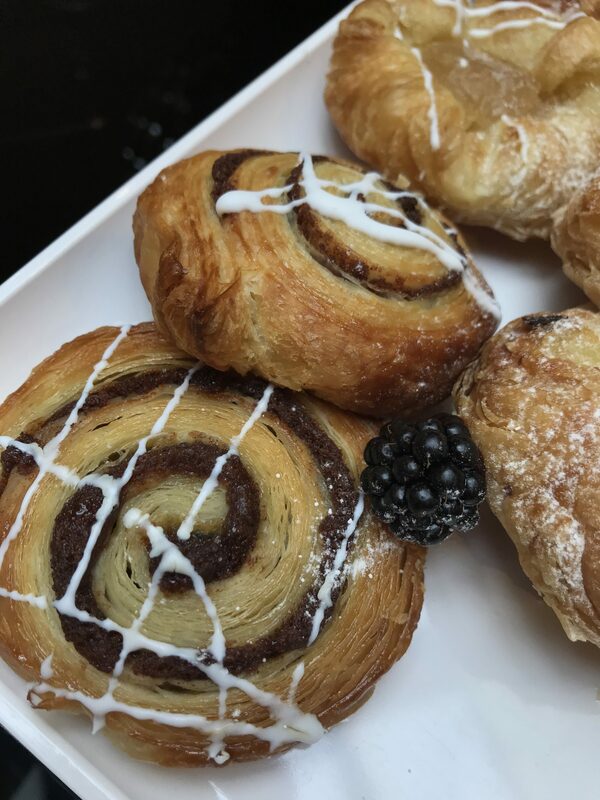 I’m definitely looking forward to Part II in October, for more discussions, more laughs, more inspiration…and also more cake!